Science - What about the sea floor? Southern Fried Science is a great blog that often tackles ocean-related issues. There's a great post there about what happens when us crazy humans punch holes in the floor of the sea. Manmade holes in the ocean totally change the local ecosystem... yikes. In the example SFS uses, the seafloor used to have a bunch of happy clams... which were smothered in less than a year by the tailings from the drilling. Then the temperature changed because layers of rock that had been protecting the area from geothermal forces were drilled through. 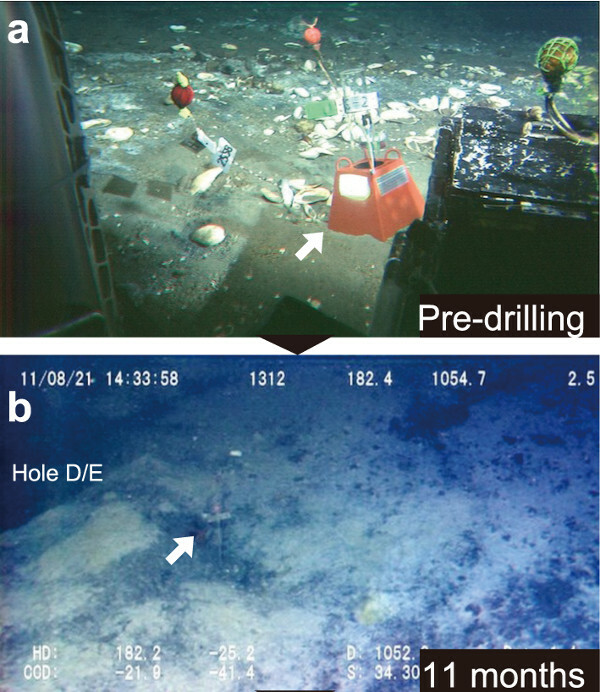 What had once been a muddy seafloor dominated by cold seep communities was now a full-fledged hydrothermal vent ecosystem. The changes appear to be permanent. This new vent system has so far persisted for over two years. I can imagine that Atlanteans would have some serious problems with surfacers permanently altering seabed ecosystems... Aquaman stories have tackled these sorts of issues for years, this is just another example of how it plays out in real life.